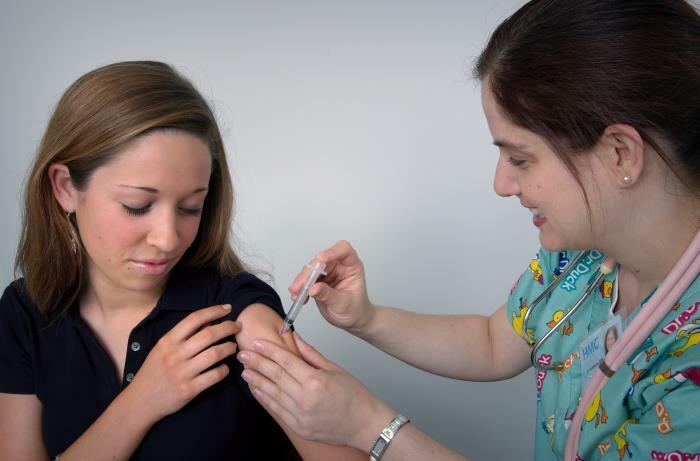 This 2006 image depicted an adolescent female in the process of receiving an intramuscular immunization in her left shoulder muscle from a qualified nurse. The girl was assisting in the procedure by holding up her sleeve, while watching as the injection was administered. The nurse was using her free hand to stabilize the injection site.